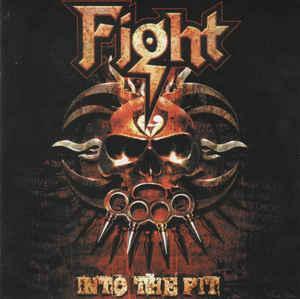 Fight - "Into The Pit"
'Into The Pit' a four-disc collection from FIGHT releases May 26, 2008 and includes FIGHT's original recordings re-engineered for release: War Of Words - Remixed and Remastered; Mutations - Remastered; A Small Deadly Space - Remixed and Remastered as well as a new DVD release 'Live In Phoenix' featuring rare and unreleased FIGHT footage. “Into The Pit” will debut in a Numbered Digi-Pak Edition, original Rob Halford autograph and 24-page booklet. World-wide release begins May 26th at local and online retailers. „FIGHT K5 – The War Of Words Demos“ are Rob Halford's private tapes produced a few weeks into his new solo band's (FIGHT) rehearsal schedule July/August '92. Raw vocal and instrumental performances are featured; providing the world's Metal audience a rare opportunity to enjoy The Metal God's pursuit of a new, cutting-edge sound for the global Rock and Metal audiences. Five new tracks are featured along with original demonstratio recordings of: Now You Die, Forbidden, Down, Beast Denies, Dead Men Talk (all new), Into The Pit, Nailed To The Gun, Life In Black, Kill It, Contortion, War Of Words, Vicious, Laid To The Rest, Jesus Saves, Psycho Suicide and For All Eternity.